Reassuringly, the new 2018 LS is also equipped with next-generation Lexus Safety System+ A . Available on Premier grade, the system’s advanced technology now includes the world’s first pedestrian detection function with active steering. The eye-catching, dynamic look of the LS is matched only by its superb, driver-first performance. Thanks to its new and improved fixtures and features, this flagship luxury saloon offers outstanding agility combined with supreme comfort and refinement. Available on Premier, the Rear Seat Entertainment system delivers an outstanding video experience via an 11.6 inch LCD screen, offering playback from Blu-ray™, SD card and WiFi. The armrests are equipped with headphone jacks and a HDMI port, so your passengers can entertain themselves while you drive in peace. The rear touch panel display gives passengers the power to configure their climate settings, adjust the audio, control the optional rear seat entertainment system, and operate the rear blind with just a few taps. We've distinguished the front of our LS flagship saloon with a bold new execution of the iconic Lexus spindle grille. Our Takumi experts developed this striking and elaborate mesh design over a period of several months using sophisticated computer modelling and a trained eye for excellence. 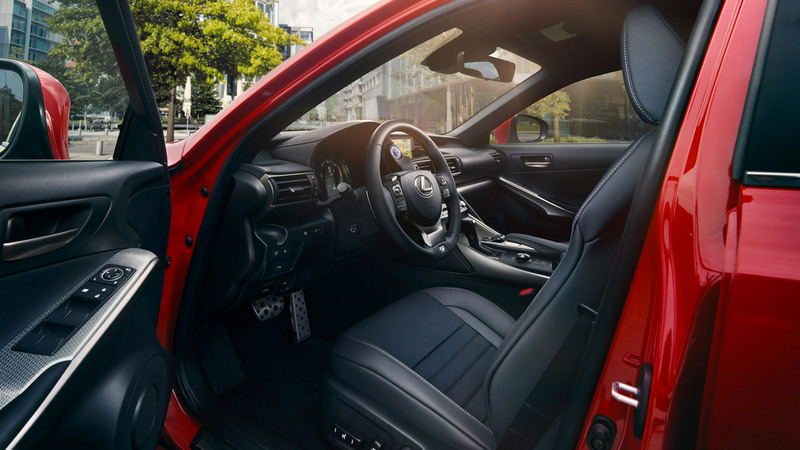 For even greater protection, the Lexus Safety System+ A available on Premier grade offers additional features beyond those included in the Lexus Safety System+, including the Enhanced Pre-Collision System with pedestrian detection and Active Steering Assist, Front Cross Traffic Alert and Lexus CoDrive. Advanced Lane Keeping Assist (A-LKA) uses a camera in the front windscreen to monitor your lane position while you drive. If you start drifting out of lane, A-LKA will activate a warning buzzer and give you some brief corrective steering input. At night, our world-first Adaptive High Beam system detects oncoming vehicles and automatically dips your high beam headlights, reducing the chance of accidentally dazzling other drivers while letting you concentrate on the road ahead. The Rear Cross Traffic Alert detects obstacles, vehicles and pedestrians around your car while you're reversing. If necessary, the system will activate a buzzer and a visual warning in your centre display and door mirrors. It can even apply Drive Force Limiting Control and Brake Control to avoid a collision. Radar devices mounted in the LS rear bumper detect vehicles in adjacent lanes that aren't visible in your door mirrors. If you indicate to change lane and a vehicle enters your blind spot, a warning signal will pop up in your door mirror to let you know. Fully polished across its entire surface, this 10 blade design expresses the car's sporting character while also helping to reduce its weight.